16th St. & Thomas Rd. Mail to: 2612 N. 16th St.
21st Ave. & Camelback Rd. Mail to: 2140 W. Camelback Rd. 48th St. & Baseline Rd. Mail to: 7430 S. 48th St.
32nd St. & McDowell Rd..
19th Ave. & Baseline Rd..
Lindsay Rd. & Baseline Rd..
51st Ave. & Bell Rd. Mail to: 4915 W. Bell Rd..
Alma School Rd. & Broadway Rd. Mail to: 1133 W. Broadway Rd. Mail to: 3925 N. 67th Ave.
Cave Creek Rd. & Greenway Pkwy. Mail to: 15836 N. Cave Creek Rd. Van Buren St. & Dysart Rd. Mail to: 350 N. Dysart Rd. Mail to: 3361 W. Greenway Rd. 35th Ave. & Greenway Rd. 7th St. & Dunlap Ave.
Mail to: 8949 N. 7th St.
Main St. & Gilbert Rd. – Inside 3rd Party MVS Inc.
Mail to: 2355 N. Swan Rd. Mail to: 2414 S. 6th Ave.
Mail to: 3802 N. Oracle Rd. For your convenience, during regular Business hours we accept payments by cash, check, money order, and debit card. We can also process electronic payments (ACH) from your checking account. All payments made at an Express Loan Center will be credited to your account the following business day. There is an outside drop box at each primary loan center location for non-cash payments. Drop box payments made after regular business hours will be credited to your account the following business day. 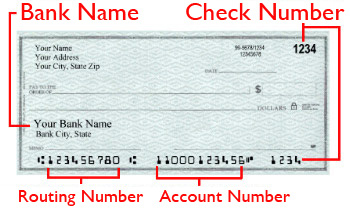 Check and Money Order payments can be mailed to the appropriate address as indicated on this page. Contact the Loan Center that manages your account as indicated on this page to make a payment by phone. Visit any business location that offers MoneyGram services. You will need the MoneyGram code for the Loan Center that manages your account as indicated on this page. For additional information and a location nearest you, visit MoneyGram.com. Visit MoneyGram.com to pay online.